Are Lakers Seeing The Arrival Of Brandon Ingram? The Los Angeles Lakers have had multiple championship runs throughout their illustrious history, bringing in different generations of Hall-of-Fame talent that each transcended the game. Included in that are esteemed head coaches. Five coaches in Lakers history have been able to succeed and capture an NBA championship, including the likes of Phil Jackson and John Kundla. 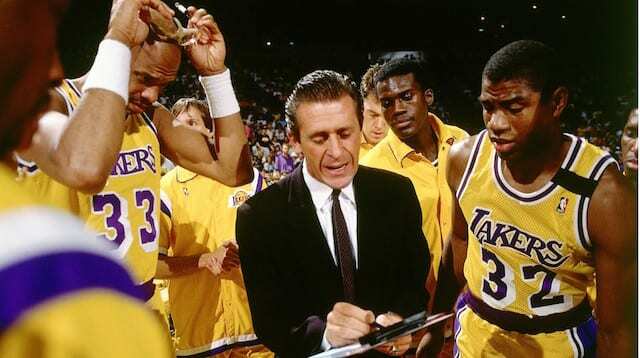 However, it was Pat Riley who led his roster during perhaps the Lakers most successful era of franchise history. Riley steered the ship during the ‘Showtime’ Era, joining forces with championship runs headlined by Magic Johnson and Kareem Abdul-Jabbar. Riley quickly became a respected figure in the NBA, molding the up-tempo offense that was ahead of its time. On Dec. 7, 1986, Riley etched his name in the record books by becoming the fastest head coach to reach 300 career wins. 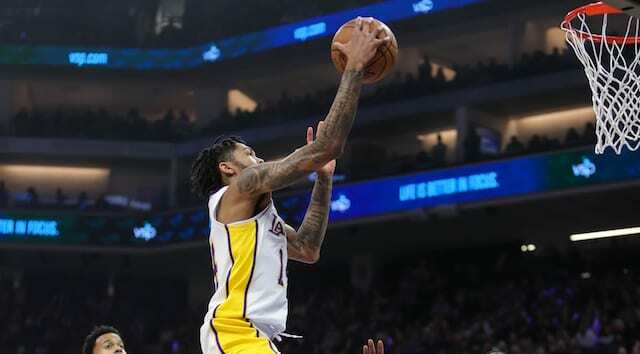 The 300th victory came during a matchup against the Golden State Warriors, with the Lakers taking care of business in a 132-100 blowout victory. The 132 points by Los Angeles was a testament to just how explosive the offense could be, especially when all the players bought into the system and fulfilled their role on both ends of the court. Byron Scott and Michael Cooper led the way for the Lakers with a combined 50 points, highlighting a balanced attack from the Lakers. In just 28 minutes, Johnson accumulated 10 points, 13 assists, six rebounds and two steals, as the Lakers improved their record to 14-3. The Lakers went on to finish the 1986-87 campaign with a 65-17 record and capped it off with an NBA title. With the victory, Riley reaached the 300-game threshold in just 416 total games, forming a winning percentage of 72.11 percent at the time. He broke Billy Cunningham’s previous record, as he accomplished it in 430 games. Riley coached a total of 1,904 games, finishing with a 1,210-694 career record (63.6 winning percentage). In 2008, Riley was inducted into the Naismith Memorial Basketball Hall of Fame as a head coach, deservingly so. His coaching career also saw stints with the New York Knicks and Miami Heat.